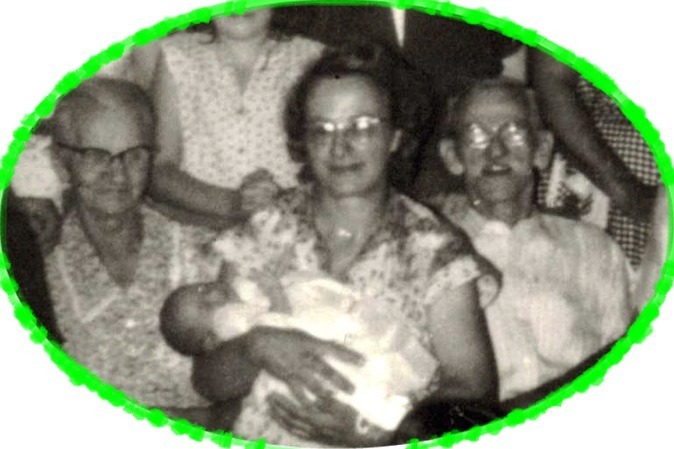 Several generations have made " Mama's Raisin Pie". Many, many raisin pies have been eaten by the Okonskis. 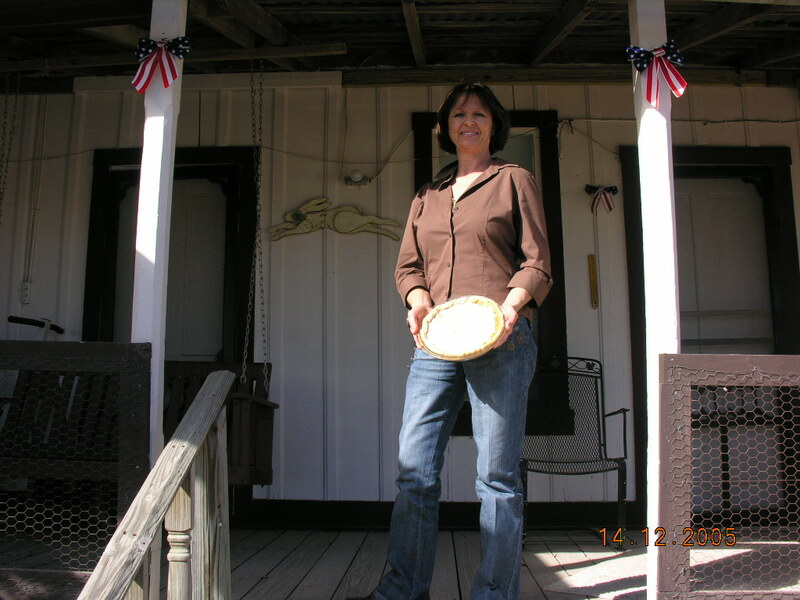 Helen Okonski Hays in 2006(above) is holding a "Mama's Raisin Pie". It seems the raisin pie is the first to go & usually on Okonskis' plates before they eat any other food. It is yummy-yum-yum. Put enough water to cover raisins, add sugar & cornstarch. Bring to boil and cook on medium for approx. ten minutes. Put in unbaked pie crust. Bake at 350 degrees until crust is brown.